This lecture is free however, due to limited capacity, please reserve your seat in advance at www.baptist.org.uk/samsharpe. Joel Edwards is a writer, broadcaster and international speaker. Until December 2014 he was International Director for Micah Challenge, a global Christian response to extreme poverty where he led the first global Christian response to corruption. Prior to his role within Micah Challenge, Joel was General Director of the Evangelical Alliance UK, a post he held for over 10 years. He was also formerly a Commissioner on the Equality and Human Rights Commission for the UK. Currently Joel is an Advisory Member of Tony Blair’s Faith Foundation. He has also served as a member of the Advisory Board on Human Rights & Religious Freedom with the British Foreign & Commonwealth Office. A regular broadcaster with the BBC and other UK and international media channels, Joel is often asked to bring a Christian perspective to current issues. 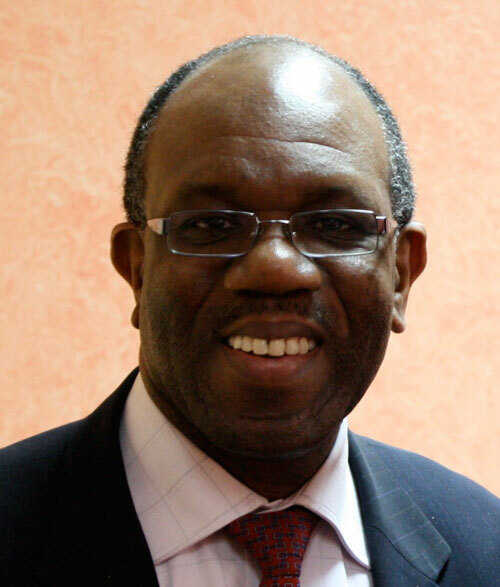 Joel is an honorary Canon of St Paul’s Cathedral, London, and has an honorary doctorate from St Andrews University, Scotland. Mr Edwards is also Visiting Fellow at Spurgeon’s College and is currently a doctoral student at St John's, Durham where he is also a Visiting Fellow of the College. He is married to Carol and they have two adult children and five grandchildren.